Nick Easton will likely fill the Saints’ opening at center, where he started five games in 2016 for the Vikings before moving to left guard. Another Vikings player is headed to the Big Easy. A day after the Saints lost center Max Unger to retirement, New Orleans agreed to a four-year deal with Nick Easton, according to his agency JL Sports. It’s worth up to $24 million, per ESPN’s Adam Schefter. Former Vikings running back Latavius Murray also agreed to join the Saints this month. Easton will likely fill the Saints’ opening at center, where he started five games in 2016 for the Vikings before moving to left guard. The structure of the contract, which will be available in the coming days, will tell how much faith the Saints put into Easton. The 26-year-old Harvard product is coming off back-to-back season-ending injuries, including neck surgery to repair a bulging disk that ended his 2018 season during training camp. The Vikings were in talks to re-sign Easton, according to general manager Rick Spielman, but the Saints likely increased their overtures once Unger made his surprising retirement announcement over the weekend. “His physical traits that we look for fit very well from a schematic standpoint than maybe some of the other people that we looked at in free agency,” Spielman said last week. 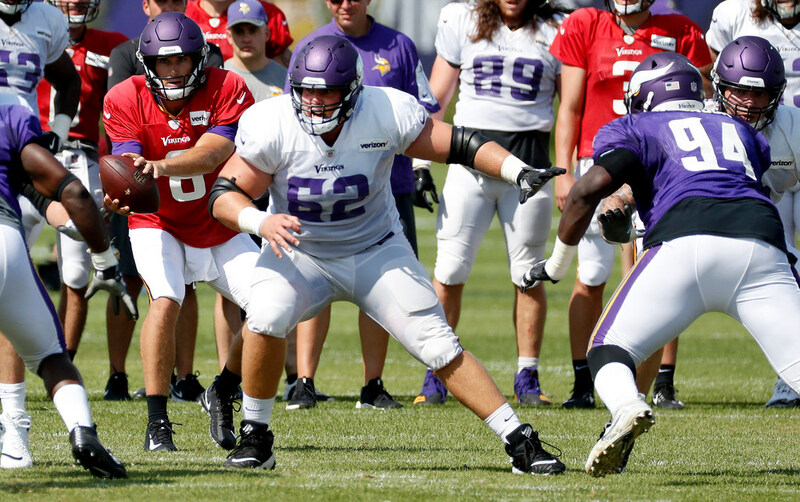 The Vikings’ current 2019 depth chart at guard still features just one player, Danny Isidora, with regular season experience. Vikings draft preview: More competition coming at linebacker? Even though the Vikings have a couple of promising reserves, they could be on the lookout for an addition as a third wide receiver. Next week's draft offers some intriguing prospects. The Vikings have unrefined talent at the position in Mike Boone and Roc Thomas, both entering their second seasons, and veterans to back up Dalvin Cook as needed.